United Airlines has joined American Airlines in offering its travelers the option of having their checked baggage delivered to their home, hotel or office if they are in too much of a hurry to wait for it. There is a fee that accompanies this service, but it appears some travels are not bothered by the price. BagsVIP, which is an arm of Bags, Inc., operates the new service. The delivery services pledges to deliver the luggage to its destination within a 40-mile radius away from the airport within four hours from the time the flight arrived. Passengers can book the delivery service over the phone or online up to a full hour prior to the scheduled flight time. 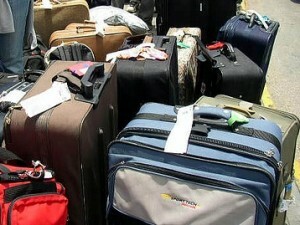 Charges for the delivery are separate from normal fees paid to check baggage. The cost of delivering one bag is $29.95, two bags costs $39.95 and for between three bags and eight bags the price is $49.95. American Airlines prices are similar except the $49.95 price is good for up to ten bags. The passenger can also ask to have his or her bags delivered to a destination that between 40 miles away and 100 miles away. However, the prices for those deliveries are determined on an individual basis. Currently the United service is in only six cities including Boston, Los Angeles, Chicago, Houston, Orlando and Honolulu. American Airlines offers their baggage delivery service in more than 200 cities throughout the United States. United said their service coverage will expand but it has only been in existence since earlier this month, while American has had its service available since last August.